In just a decade, the exchange-traded funds (ETFs) market has grown from one billion dollars to more than half-a-trillion dollars. 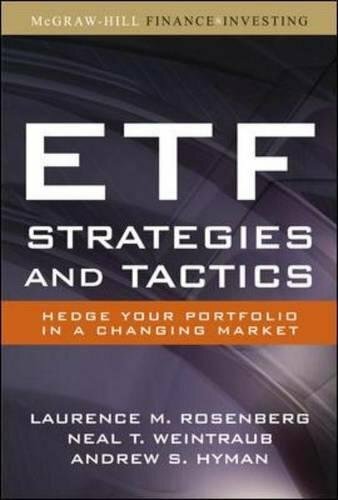 While previous books have provided introductions to and listings of ETFs, ETF Strategies and Tactics offers practical guidance on how to invest in these funds and use them to balance your portfolio. Complete with one-on-one interviews with professionals from major ETFs, as well as a number of valuable appendixes, ETF Strategies and Tactics is a unique guide you will keep at your fingertips during your day-to-day activities. If you have any questions about this product by Lawrence M Rosenberg, contact us by completing and submitting the form below. If you are looking for a specif part number, please include it with your message.